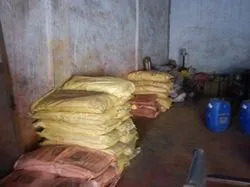 We, Oxide & Pigment Corporation, came into existence in the year of 1994 are a prominent manufacturer, exporter, wholesaler, trader and supplier of a wide array of Iron Oxide & Chemicals Compound. Under this commendable collection of products we are offering best grade Iron Oxide Red, Yellow Iron Oxide and Green Chrome Oxide. These products are compounded by taking supreme quality ingredients as per the global standards. We are also offered these products in many packaging options to suit the latest demands of our clients in effective way. Our provided products are preferred by the clients for their perfect formulation, accurate composition and longer shelf life. Patrons can be availing these products from us at reasonable price within the assured time frame. Since our starting we are backed by a latest infrastructure facility equipped with the top notch tools and machines required for the manufacturing of the offered products. 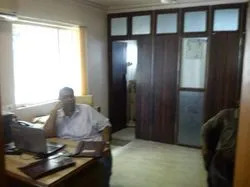 For the reliable and smooth execution of our business operations, we have separated our facility into various units. Each unit is managed by well qualified and talented professionals. We have chosen our professionals on the basis of their experiences and field knowledge. To achieve the set organizational objectives, our team members are working with full dedication. We have been able to dispatch the offered products within the limited frame of time. We trade our products under the brand name of Turbocol and Eurocol. Banking to the guidance of our mentors, Mr. Yogi Chhichhiya (Director), we are able to cater the client’s needs effectively. They assist at every step to ensure best production rate with unmatched quality norms. Our Business Associates "Oliver India Ventures Corporation" are engaged in supplying, manufacturing, wholesaling and trading of wide range of Industrial Adhesive. The company supplies products mainly for interior decoration industry, textiles and Hygiene industry. We procure superior quality ingredients from Germany and China for formulating a wide range of Syn. Iron Oxide Red & Yellow, Chrome Oxide Green and Syn. Black Oxide, Blue Oxide, Green - B, Zinc Oxide. Our products are packed in superior quality packing material to make sure that these remain free from any impurity. 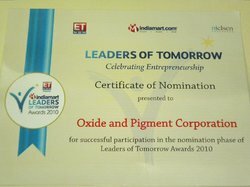 We have been Nominated for Leaders of Tomorrow. We are blessed with a team of hard working professionals who are hired after a stringent examination process. These team members are well versed with their respective field and thus strive hard to achieve the best possible outcome. Our professionals are coordinate with the clients to know about their need and offer them accordingly. In order to ensure interrupt free business operations, we have segmented our team into many sections manned by skilled personals. The distinct place our company has acquired in industry is due to our ability of providing desired range at affordable prices. By following ethical standards and maintaining transparency in our dealings, we have acquired huge support of our valued client.